We are pleased to advise and welcome Dr Jane Booth who will be joining the team on 14 May. Jane is arriving from the UK and will work in both Lower Hutt and Wainui clinics. Both clinics will be closed on stat holidays Friday 19 April (Good Friday), Monday 22 April (Easter Monday) and Thursday 25 April (Anzac Day). We are unable to offer portal bookings until late May - if you require a smear test please ring admin for an appointment. Flu vaccinations are available from Monday 8 April at both clinics. Please call the Nurse for an appointment. Cost is $45.00 (per adult) and for patients aged 65+years the injection is funded. The Ministry of Health have advised that one MMR vaccine is considered to be 95% effective, therefore supplies are being saved for the unvaccinated population. If your work place has requested that you have two documented vaccines the Immunisation Authorities are suggesting that you are to have your second MMR booster once the measles outbreak has settled down to preserve supplies for the AT RISK POPULATION. of fellow patients waiting to be seen. Due to increased demand all over New Zealand we are unable to offer both Menactra and Nimenrix vaccines. Refer to www.immune.org.nz for updates. We are no longer providing travel vaccines to our patients. Please go to the Travel Doctor website www.traveldoctor.co.nz for your closest clinic. We are not currently taking on new patients and will advise on the website once we have reopened our books. We have become a Health Care Home practice. This means we are trying to become more patient focused and be able to offer you more services locally. You will notice that if you phone for an appointment for the same day you will be told the call will be triaged. This means that the doctor or the nurse will phone you to assess the situation, usually between 9-9.30 am. It may be your problem can be solved over the telephone or by a prescription or by seeing a more appropriate person other than the doctor. If your problem is urgent and needs attention that day you will be seen. It might mean you will be seen quicker. If as a result of a triage phone call you need an appointment there will be a normal appointment charge. If you need a script but no appointment, the usual script charge will apply. Why is the practice doing this? 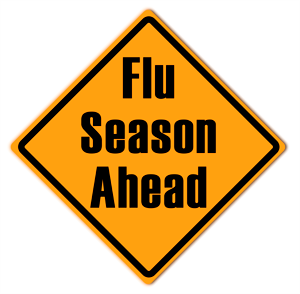 It was projected in April of this year - and they were right - this flu season is the worst we have had in a long time. Hutt Hospital is at 100% capacity, Wellington Hospital has a huge number of flu patients being admitted to intensive care and the wards, After Hours are overflowing every night and we are struggling to see all our patients that need to be seen. About 120 patients with flu-like symptoms have presented at Wellington Regional Hospital's emergency department each of the past three weeks, adding to a significant surge in influenza cases across Capital and Coast District Health Board (CCDHB) hospitals. if your unwell - stay at home and if possible keep you children home from school and day care. Wash your hands and carry some hand sanitiser around with you and use it. Keep hydrated and it appears that it can take 7 to 10 days to start feeling well again. Please give our nurses a call and they can help you on the phone and please remember, we will always do our very best to see our little patients on the same day. It is not too late to get a flu injection - Please if you have not had one - reconsider and give us a call to book a time to have one. 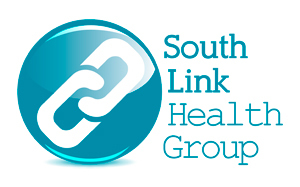 We are going to be extending our hours at Wainui clinic on a Wednesday from 8.30 am until 8.00 pm. There will be Doctor and Nurse appointments available from 25 July. Portal bookings are available. Our late night clinic at Lower Hutt will continue to be open on a Tuesday evening until 8.00 pm.